Make money promoting the ebook that teaches bloggers how to start, grow, nurture, manage and monetize a successful Facebook Group! 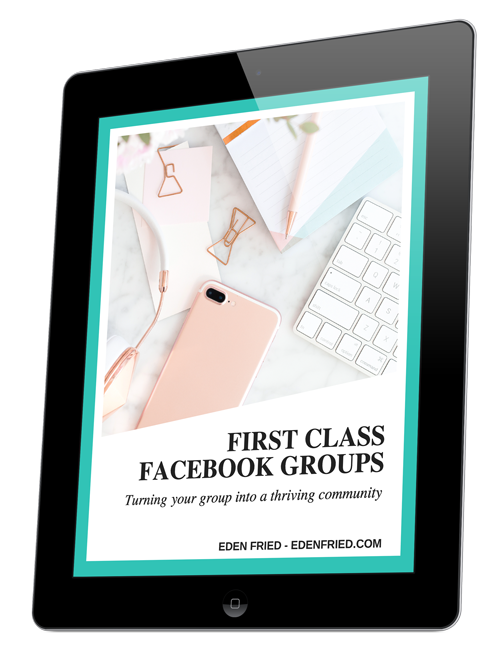 Would you like to join an affiliate program for an ebook that teaches bloggers how to create successful Facebook groups? Keep on reading! That's right, you'll earn a 40% commission rate on EVERY successful sale. When the ebook is priced at $32, that means you'll earn $12.8 for each sale. 40% commission is a very competiteve rate for ebooks! All affiliates will get the inside scoop on upcoming sales and promotions so that you can be as successful as possible! I'll let you know what's coming up so you can prepare ahead of time in order to increase the chances you'll make a sale. When someone clicks on your link, a 90-day tracking cookie will be placed on them. That means that if the user purchases the ebook at any point in those 90-days, you still make a commission (so long as they haven't cleared the cache or cookies since then). The commission goes to the person who's affiliate link was clicked on most recently. If a buyer clicks on multiple affiliate links before purchasing the ebook, the link the buyer clicked on last would be the one that is rewarded the commission. USE YOUR AFFILIATE LINK ON PINTEREST! Don't be afraid to get social. I make money on auto-pilot by sharing pins to some of my favorite ebooks and courses. The links on Pinterest are my affiliate links! You can use some of the provided promo images or you can make your own images! Your email list is a great way to make money promoting affiliate products. If you know that your email list would be interested in the ebook, create an email sales funnel for the product. Introduce the product, share your experiences with the product, answer any frequently asked questions for the product and then link to the sales page a ton of times. You can include as many as 3-5 emails in your email sales funnel! Want to get targeted people on your email list? Targeted meaning people who are actually interested in buying the ebook? 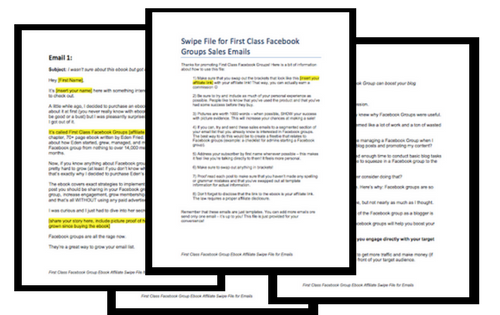 Create a related freebie and offer it on your blog (for example: a checklist for starting a Facebook group). Once those people are on your email list, you know they'd be the perfect people to buy the ebook so start sending them those sales emails we talked about earlier! 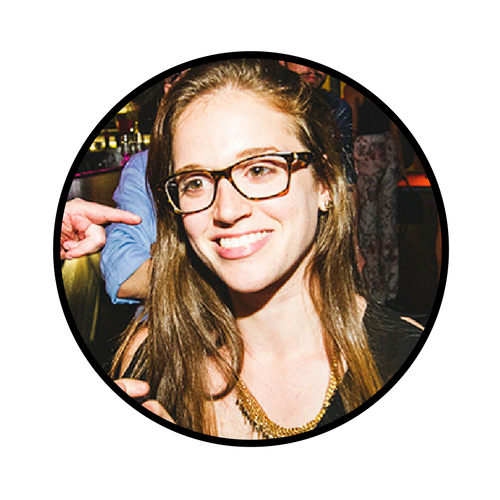 Market that freebie all over social media, and on your blog. The more you market your freebie, the more people will sign up for it, the larger your email list will grow and the greater the likelihood people will make a purchase down the line. Let me make your life soooo much easier. Download a file with pre-made text that you can customize and send to your email list! These swipe files make it easy to promote the ebook to your email list without hardly doing anything at all! Want ready to use images to help you promote the ebook on social media? I'll give you access to pre-sized, already designed images that will be ready for Facebook, Twitter, Pinterest and Instagram! Just download the images, and you're ready to go! Hey there, I'm Eden. I'm a full-time blogger and online marketer who turned a nothing blog into a profit-generating website in less than 12 months. I started Blogger Insights in January 2017 and now it's a thriving community of over 14,000 members! 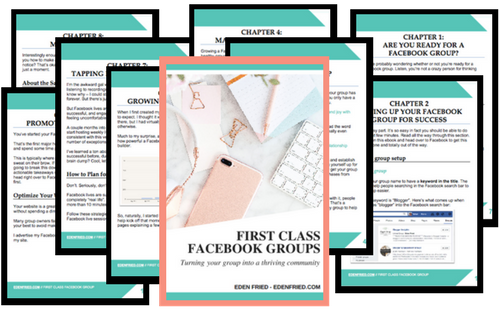 Since I believe Facebook groups are one of your greatest assets, I decided to write First Class Facebook Groups to help other current and aspiring bloggers achieve the same success that I've achieved in such a short period of time. GET IN ON THE FUN AND START EARNING!